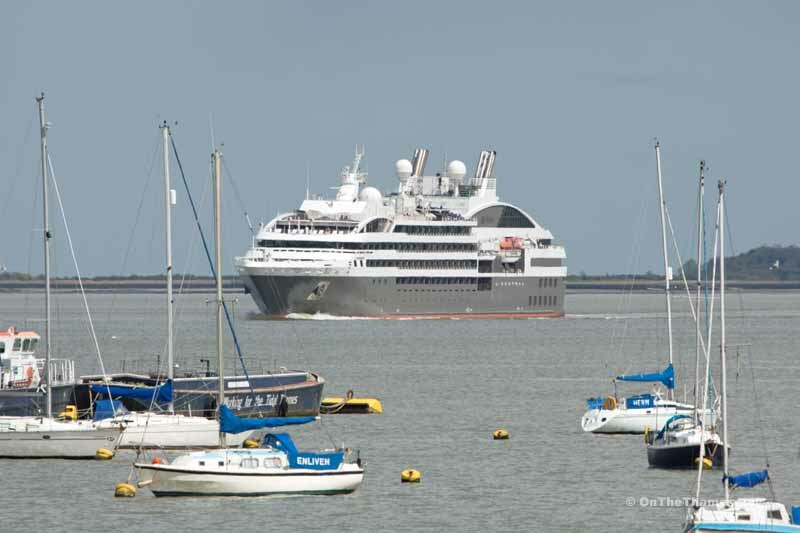 LONDON's cruise season got under way this afternoon when the cruise ship L'Austral sailed up the Thames. 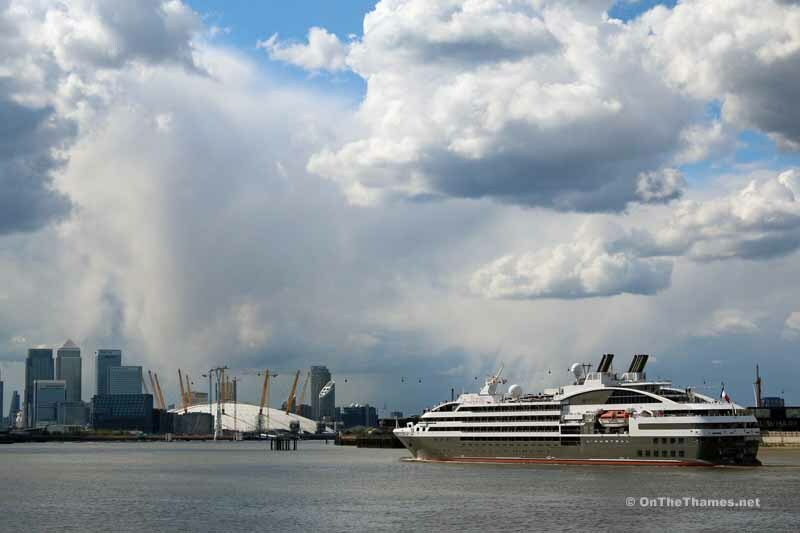 The luxury megayacht-style ship made her way in to London in warm sunshine with blue sky and puffy white clouds above. 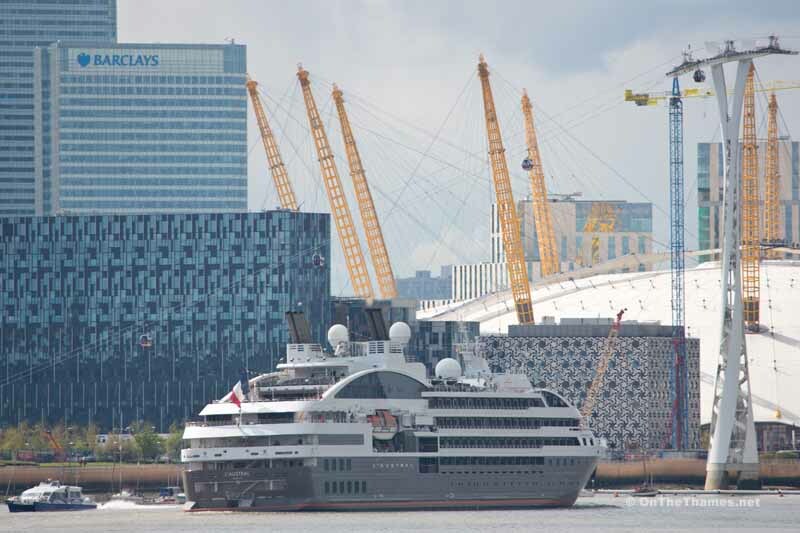 L'Austral's arrival into the upper pool alongside HMS Belfast is the first by a cruise ship so far this year. 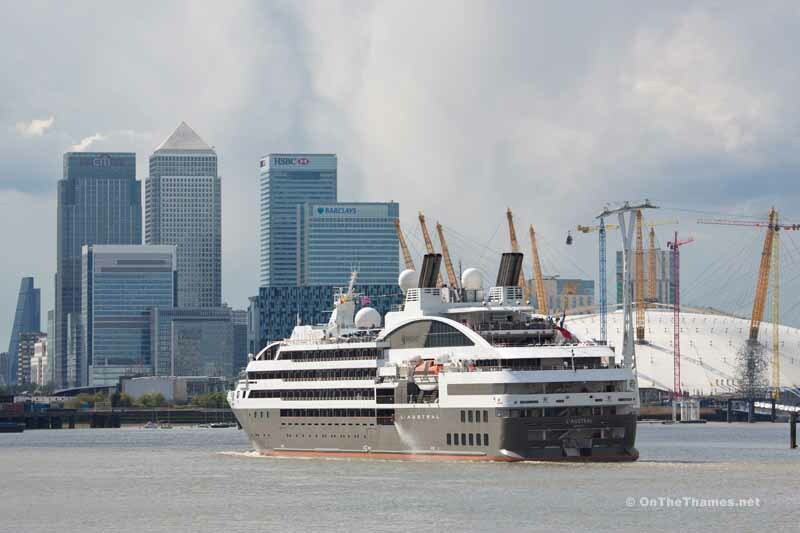 The 142-metre long vessel, operated by Ponant, transited through Tower Bridge shortly before 5pm. 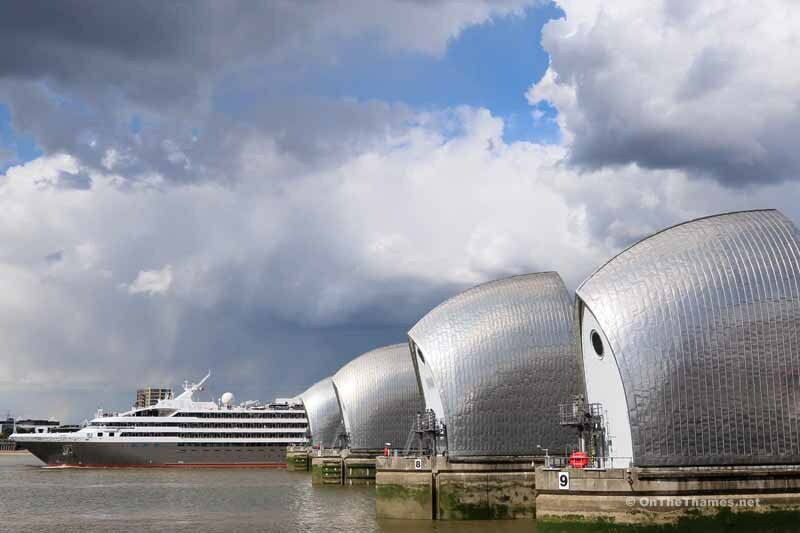 After a one night stay in the capital, the ship will depart back through Tower Bridge on Sunday at 6.15pm. 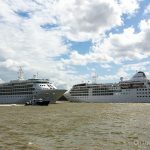 The first cruise ship into London proper this year was expected to have been Viking Star, due at Greenwich earlier this week, but a change of schedule meant she came a day late and only made it as far as Tilbury in Essex. 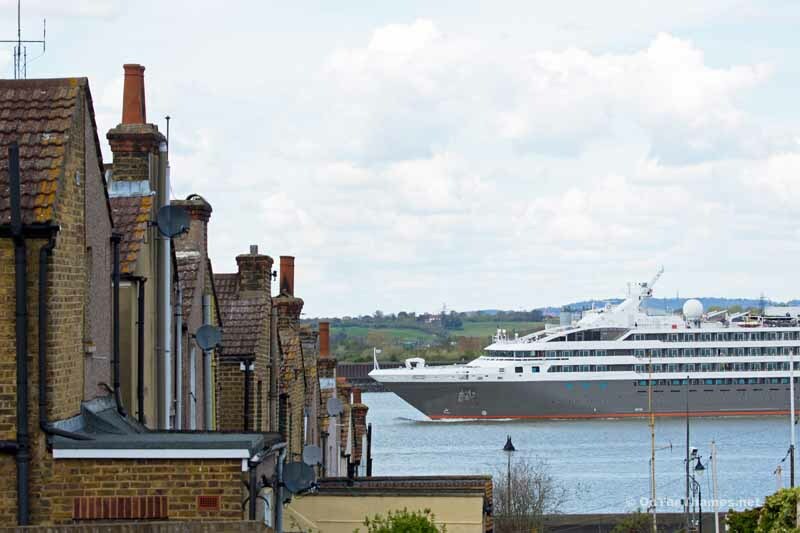 Her sister ship Viking Sea is due to arrive at Greenwich next Thursday, however, for a christening ceremony which will climax in fireworks on the river shortly after 10pm. 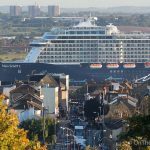 Other cruise ships due in to London over the next few months include the National Geographic Explorer, Ocean Diamond, Minerva, Berlin and Silver Wind. 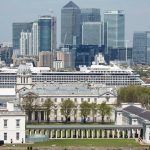 The frequency of cruise visitors into the capital will increase when the new cruise terminal at Enderby Wharf, Greenwich, is built although local campaigners have recently succeeded in getting permission for a Judicial Review in to the planning application. 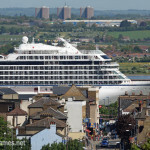 Rooftops of an old terraced street in Gravesend provide a contrast to the luxurious cruise ship. 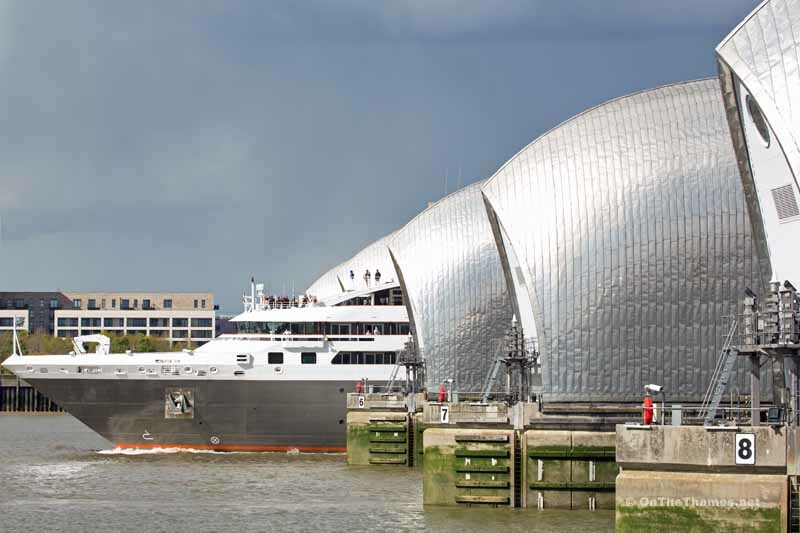 London's landmarks reveal themselves to passengers as L'Austral continues her journey up river. Colourful cranes seen at Greenwich Peninsula are part of a new arts project integrated with current construction sites. 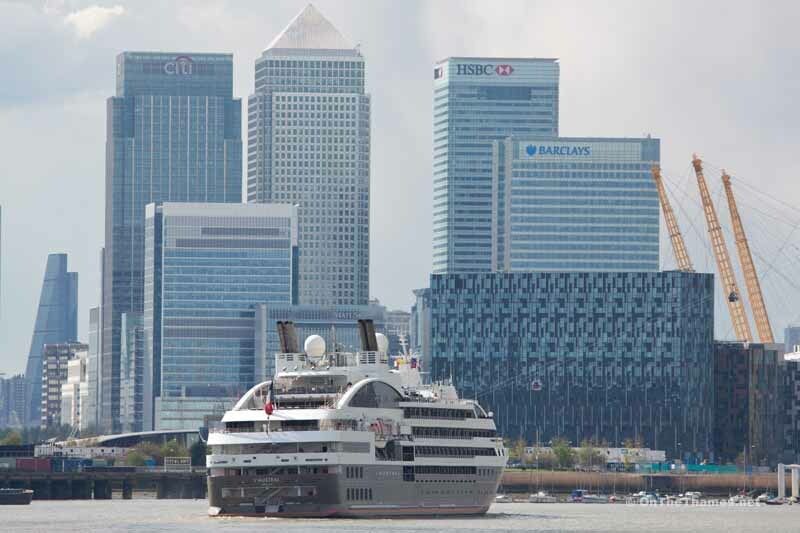 L'Austral will remain in London until early on Sunday evening. 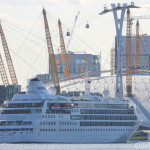 The cruise ship approaches the iconic dome at Greenwich and dwarfs a Thames Clipper heading down river to Woolwich. 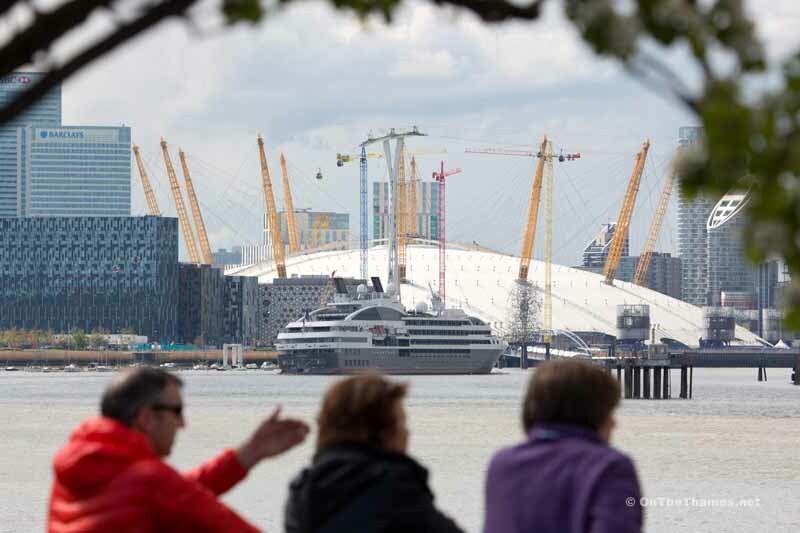 The cruise ship was an unexpected surprise for many walkers along the Thames Path. 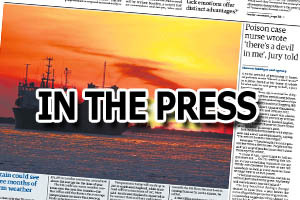 Thanks for the write up and photos. 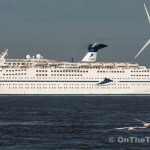 I saw the cruise liner docked yesterday and did wonder where it had come from and who owned it.